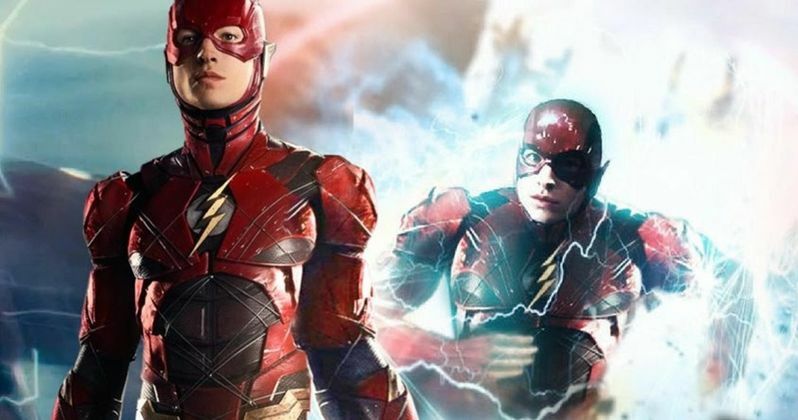 Even though it has been delayed several times, The Flash solo movie is still happening and Ezra Miller has provided a significant update. This is a project that has been in the works for some time and has sort of been through the wringer so far, with several directors coming and going before John Francis Daley and Jonathan Goldstein (Game Night) stepped in, who are now currently on deck to helm the DC Comics adaptation. While it's still not clear when exactly filming will begin, Miller promises this is going to be something DC fans will enjoy. Ezra Miller brought his version of Barry Allen to the screen in Justice League which, unfortunately, wasn't the home run Warner Bros. was hoping for. But Miller is still committed to the role and, during a newly surfaced interview Miller did while promoting Fantastic Beasts: The Crimes of Grindelwald, the actor spoke quite a bit about what we can expect. Here's what he had to say about it. "We're talking about sparking a whole new universe, it's not just the DC multiverse, it's the speedster multiverse. And the speedsters are the ones who connect all the disparate pieces of it. 'Cause Marvel is a universe, right? It's a world with all the same characters in it. DC is a multiverse -- all these different stories with different realities, different characters and different versions of characters. And the speedsters are the ones who move through it all." For those who have read the comics or have seen the show on The CW, there are indeed many different universes within the DC pantheon and Barry Allen has access to them via his tremendous speed. Based on these comments, it sounds very much like this movie will open up that multiverse for the current movies, which could mean big things for the larger DCEU. As for the delay? Ezra Miller says it's all about getting things exactly right. "Anyone who knows anything about Barry Allen knows he's always late, but then when he arrives, he gets stuff done. That's definitely how this film's production schedule is proceeding. [laughs] We're a little late, but the reason why we're late, and this is the honest to God truth, the reason why we're late is because we're all, and I include myself in this, we are very meticulously focused on making a movie that's not just one of the greatest superhero movies that we can possibly make, this movie is also going to be a gift to the fans... This movie's going to be a real pure offering to the fans of this material. And we've hit a couple of points in the script's development where we've looked at it and gone 'This isn't it, this isn't it yet.' [...] I'm really delighted at how focused everyone is on getting it just right, and I'm really devoted to that as well. We won't make the film unless it's going to be this consummate beautiful offering to the fans, and to everybody." The Flash does not currently have a release date set. Next up is the Joker origin movie with Joaquin Phoenix in October. 2020 sees Birds of Prey (February) and Wonder Woman 1984 (June) coming our way. Maybe if we're lucky, this will arrive in 2021. Feel free to check out the full interview clip from the Flashsolo Updates Twitter account.